Links of London presents this Ovals 18kt Yellow Gold & White Topaz Ring. 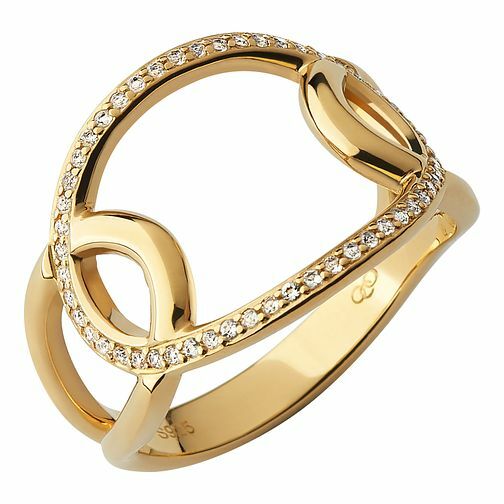 From the Ovals collection, this ring is a statement piece. Featuring three interlocking cut out ovals, the 18kt Yellow Gold Vermeil & White Topaz Cut Out Ring curves around the finger effortlessly, bringing an sophisticated touch to the design. Impossibly chic, the design exudes feminine glamour, with 52 white topaz stones set into the centrepiece of the ring.